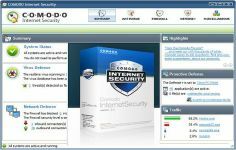 Comodo Internet Security is a powerful complete security software solution that prevents viruses from reaching your machine by providing it with greater security when you surf the Internet or on a removable disk. Comodo Internet Security automatically detects the presence of a virus on the computer. It blocks malware default so that only safe files will execute. It still keeps the user informed about the suspicious files. In addition, an automatic update is made possible through the firewall feature to ensure maximum protection of the computer. While the interface is rather clear and accessible, Comodo Internet Security has all the same advanced configuration menus allowing users the most enlightened tune their level of protection. Curently we don't have any log information about Comodo Internet Security version 11.0.0.6802. We will this change log update soon!